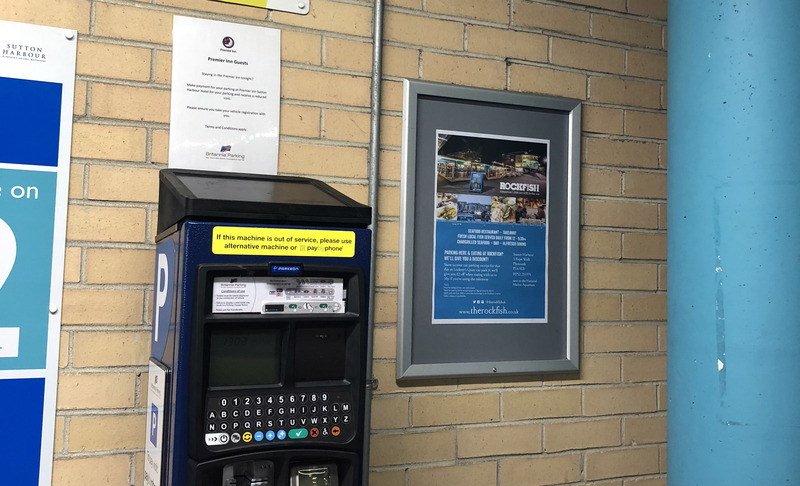 Advertise your business on A3 Posters next to the pay machines at Harbour Car Park. We have pay machines on 3 Levels within the car park with A3 Frames next to every machine. The advert is an A3 poster, printed on high quality waterproof 180gsm paper. This material is good for 2 years and will last really well.